Railway Station - Faringdon Community Website. 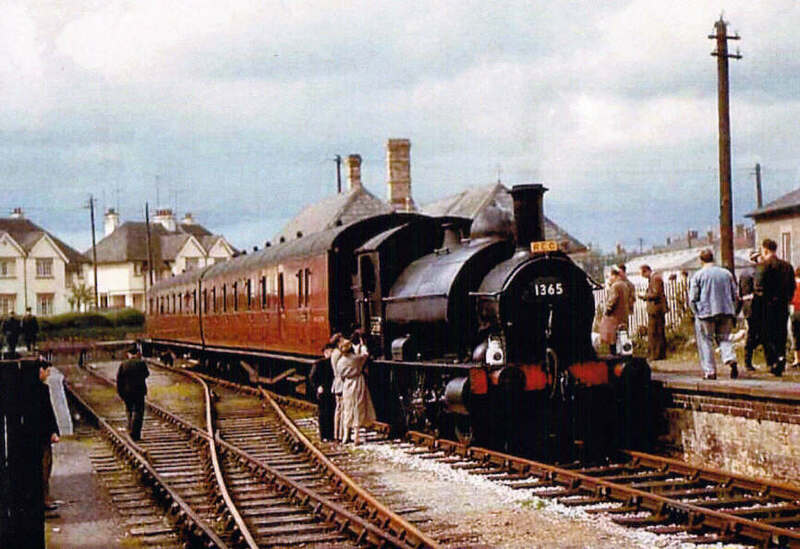 The Faringdon Railway Company was incorporated by Act of Parliament at more or less the same time as the Berkshire Constabulary was becoming established. The efforts of Brunel in developing the railway system, particularly that from London to Bristol, was quickly seized upon by other persons anxious to take advantage of an improved transport system. A single line, laid to Brunel’s unique 7ft gauge, was established from Uffington Junction to Faringdon and was opened in 1864. It boasted 12 trains each way in the very early days. Like all independent railways abutting onto the Great Western Railway, Faringdon line was absorbed by its big brother. This was in 1886. The Faringdon branch continued in existence for passenger traffic until 29 December 1951, and from then on until closure in 1 July1963, the branch was kept open for freight only. Today, rails and signals have gone, along with the little Great Western tank engines that use to potter about in the station yard or amble up the branch to Uffington with its single vehicle. The old station building, still stands and the platform and goods shed are much in evidence. They are a tangible reminder of the spacious days of Britain’s railways, days that are unlikely to return.